Excellence in Measurement Technology operates worldwide and we have extensive experience of working in a range of business sectors and cultures. Our consultants have wide ranging experience in software development, project management, service management, acquisition and outsourcing, and can apply practical knowledge of what works for you and your organization to address your specific needs. Our consultants are certified and experienced in the application of the Capability Maturity Model Integration (CMMI), Scaled Agile Framework (SAFe) Program Consulting, Certified Scrum Master (CSM), Certified Product Owner (CPO), Lean Manufacturing, ITIL foundations, Six Sigma Black belt, European Federation for Quality Management (EFQM) Business Excellence Model, and ISO standards to include Lead Auditor for ISO 9000, ISO 13485 (Medical Devices), ISO 20000 (Information Systems), ISO 27000 (Information Security) and Cloud Security Knowledge (CSK) certifications amongst others. Our mission is to help our clients to successfully analyze and achieve their specific business goals. We aim to pragmatically apply our knowledge and experience of industry best practices to achieve measurable business improvement for your organization. Excellence in Measurement Technology was founded in the year 2000 by Margaret Tanner Glover. Margaret started EMT to help other software and services corporations and organizations realize their quanitative and qualitative business goals. In 2010, Kieran Doyle joined the company as a partner, adding his own extensive experience in quality management to EMT. Together, Kieran and Margaret have the capability and expertise to provide any and all of your process improvement and measurement business analysis needs. Margaret Tanner Glover is a former Captain in the U.S. Air Force who served as a Project/Program manager working in a world-wide theatre with a cross-functional team on a space defense program requiring complex logistics for a successful product delivery. After her time in the Air Force, she worked as a Project/Program Manager in the Telecom/IT Industry as a Director of Software Process Improvement at US Robotics/ 3Com Corp, which involved writing Design Control procedures for the electro-mechanical products for all the Engineering functions (mechanical, electrical, software and applications) with the building and delivery of modems and IT products. Margaret also has extensive experience in teaching and training as a former Adjunct Professor at Colorado University who taught a master’s course in Software Product Management (EMEN 5430). Margaret also was a developer and Air Force Instructor for the “Joint Space Fundamentals” course in the Air Force. Margaret uses worldwide industry best practices in Project Management. Margaret is a specialist in metrics and measurement analysis with implementation of statistical process control of defect density and productivity analysis with the result to improve customer satisfaction and business revenue. Kieran Doyle is a certified SCAMPI Lead Appraiser and High Maturity Lead Appraiser, and has conducted appraisals in many countries around the world. Kieran is also a certified instructor for all of the current CMMI models, and has also worked with the SEI and the CMMI Institute on developing training materials. Kieran has extensive experience of applying business improvement principles in many different settings, using a variety of frameworks to guide organisations. This has included all three CMMI frameworks (Development, Services and Acquisition), but also a range of ISO standards (e.g. ISO 9001, ISO 20000, ISO 27000, etc. ); the EFQM Business Excellence Model; etc. 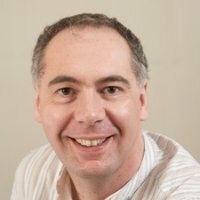 Kieran draws on over 20 years experience of developing software as a software engineer, quality manager and project manager to help with these business improvement activities. Much of this was in a telecommunications setting, but defence, and education have also featured in Kieran’s career. Kieran has helped a number of range of organisations with their business improvement journeys, including defence, telecommunications, banking, education, acquisition and outsourcing, government, retail and financial services. Fiona is a certified CMMI SCAMPI Lead Appraiser with over eight years of experience in project monitoring and quality control management. 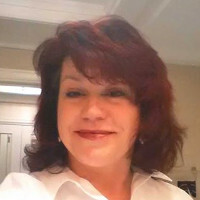 She has served on many SCAMPI appraisals including High Maturity appraisals and also has experience as a full-time consultant, having helped several companies attain and maintain their desired Maturity Level of CMMI. Fiona is familiar with the software development and IT services industries, and the Agile best practices widely used in such industries. Margaret and Fiona have jointly taught the Agile class that EMT has developed. 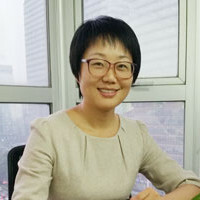 She is a skilled consultant with strong group management, communication, and problem-solving abilities and is fluent in both Chinese and English. Chelsea Glover has served on many SCAMPI appraisals as a CMMI Appraisal Team Member with years of experience in applying the model. She is also a Certified Scrum Master with experience in developing courses/workshops for clients on how to implement Agile practices in an organization for continuous delivery of products. Chelsea has also served on ISO 9001:2015 audits as an audit team member in both first-time implementations of ISO 9001 and in transitions from ISO 9001:2008. She has expanded her expertise in ISO 9001 by becoming an ISO 9001:2015 Lead Auditor. Chelsea has coauthored Excellence in Measurement Technologies’ CMMI/ISO 9001/Agile/SAFe Crosswalk to help clients who are implementing more than one methodology in their organization. She enjoys learning the intricacies of various process improvement methodologies, and how they can be applied (or combined) to improve an organization’s performance and product and service quality.